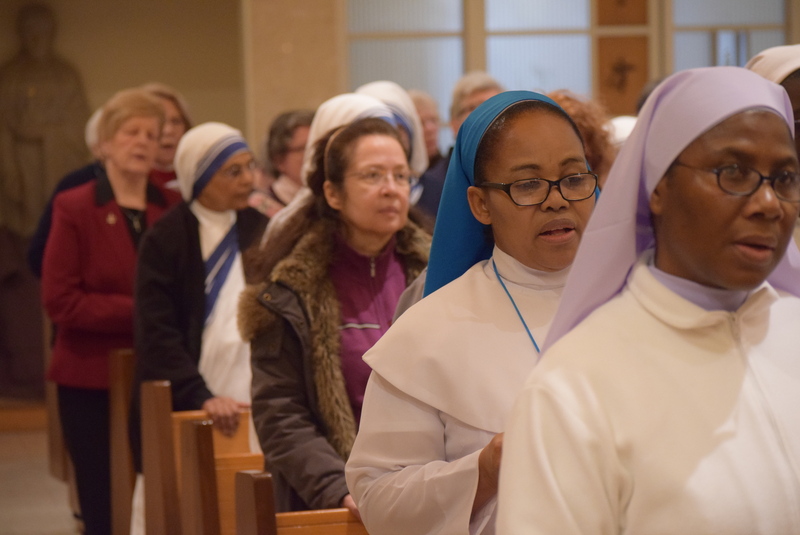 Instituted by Pope John Paul II in 1997, World Day for Consecrated Life is a day to celebrate the gift of God’s call to women and men who serve the diocese as sisters, brothers, religious order priests, as members of secular institutes and as consecrated virgins. 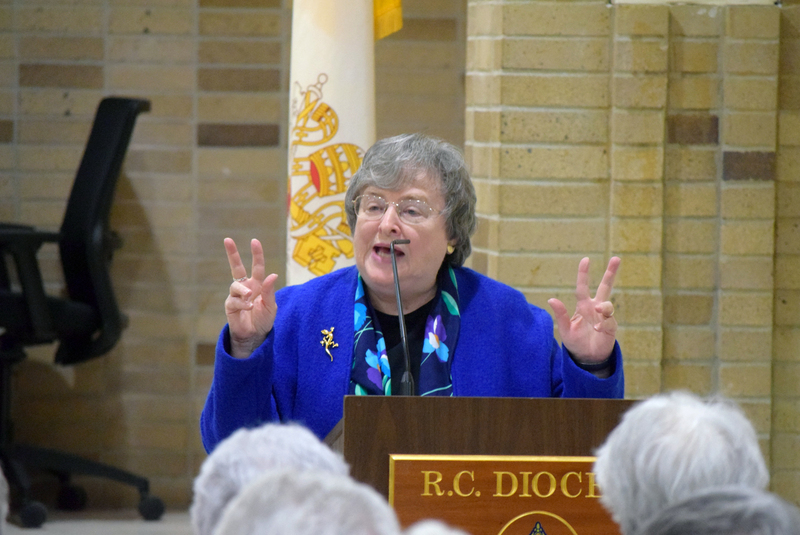 Sister Elizabeth, a Brooklyn-born member of the Sisters of St. Joseph, Brentwood, is a former president of the Catholic Theological Society of America. She holds a doctorate in theology and has written numerous books and articles. Her main message for the day focused on “Laudato Si’” – Pope Francis’ second encyclical, which is subtitled, “On Care for Our Common Home.” The encyclical addresses climate change and critiques consumerism, environmental degradation and global warming. Pope Francis calls on all people of the world to dialogue about how to shape the future of the planet. Reflecting on the Holy Father’s call to action, she called to mind a phrase in the Gospel of St. John. “John says, ‘And the word became flesh,’” she said. 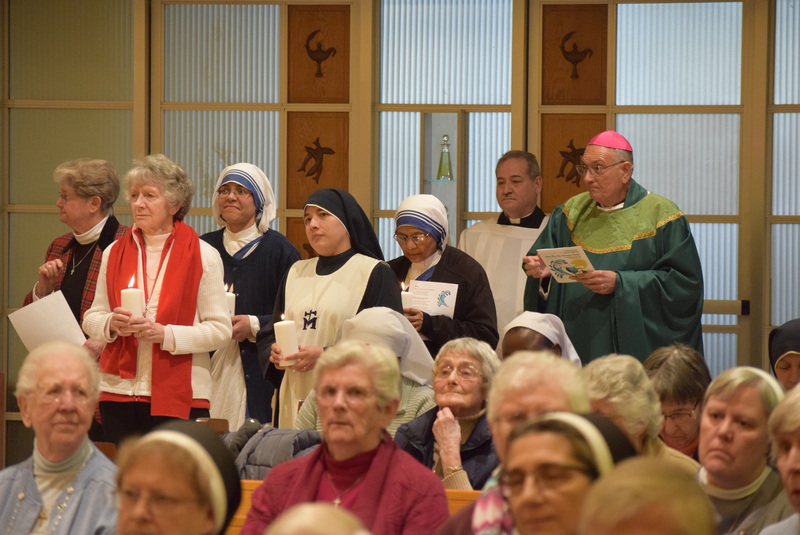 More than 50 women and men in consecrated life, many of them teachers, had become the students, learning from Sister Elizabeth’s insights and considering the questions she posed. Sister Elizabeth said there is hope for the future, and asked everyone to join together to do his or her own part. Brother Bill Boslet, O.S.F., of St. Gregory the Great parish, Bellerose, heard the challenge, and plans to make changes in his own life. Sister Maryann Seton Lopiccolo, S.C., diocesan delegate for religious, was grateful for the day and Sister Elizabeth’s eye-opening talk.